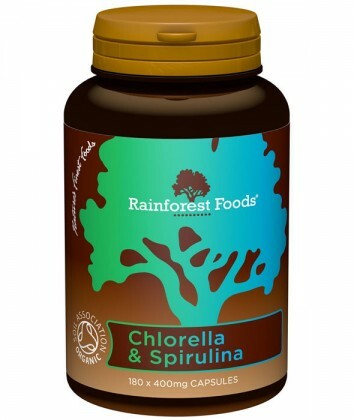 Rainforest Foods Pure Organic Chlorella and Spirulina Capsules. 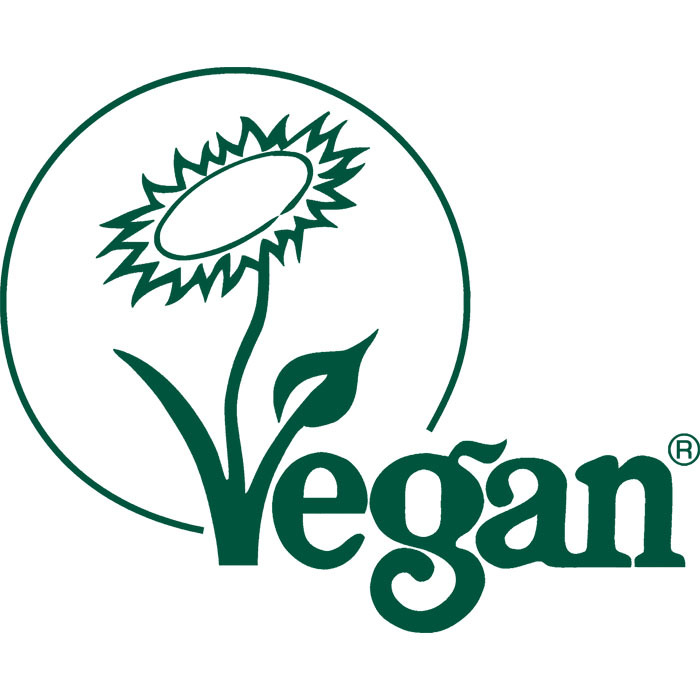 Great source of protein, vitamins and minerals. 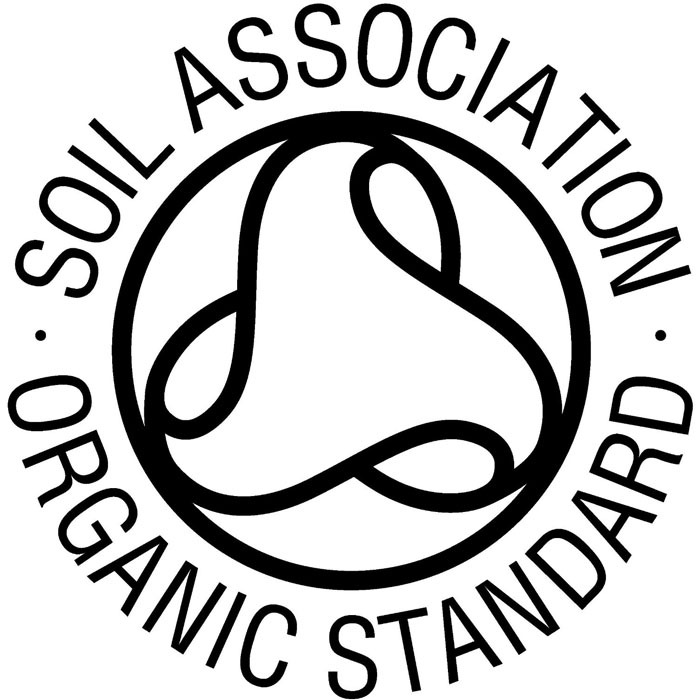 Generally useful for supporting the dietary requirements of a healthy diet. High in protein, so great for active peopleÂ looking to gain and recover from exercise. Each pot contains 180 x 400mg capsules. 8-12 capsules a day, either in one go, or 2 capsules 3 times a day. Take with water, 30 mins before food. 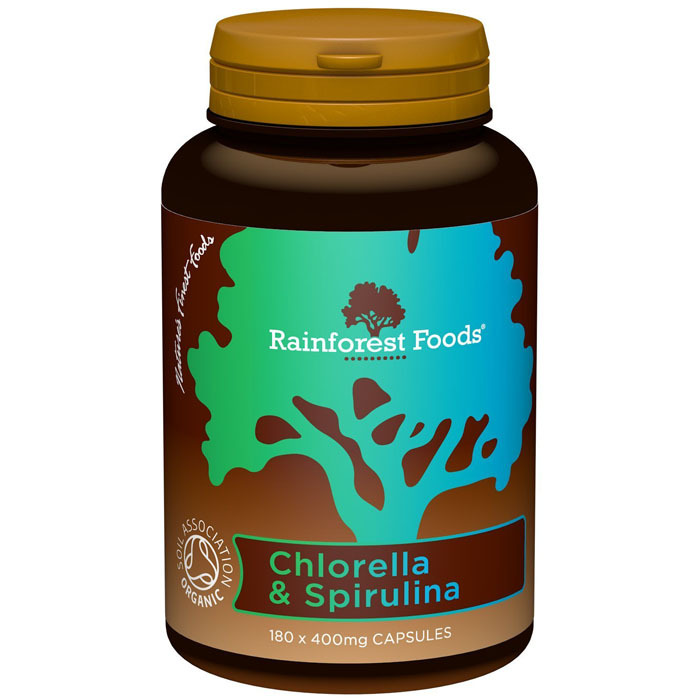 100% Organic Chlorella and Spirulina powder.